The Wednesdays keep a comin.' Today issue 3 of Wednesday comics hit the stands. 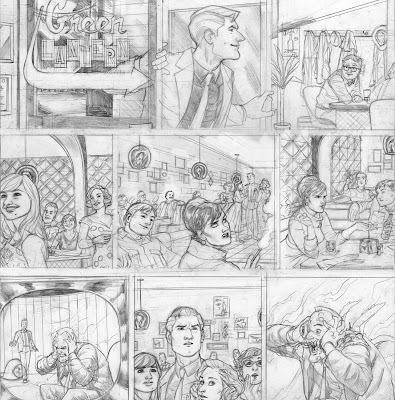 Here's a glimpse at the pencils of my contribution to this weeks issue. Hope you like! Hi, i've been following your blog for a while (two months maybe) and I have to say that your work on Wednesday Comics is what got me hooked on that fine publication. Your work is simply one of the best among all the creators in that project: the detail to backgrounds, the facial expressions and the use of the page space. 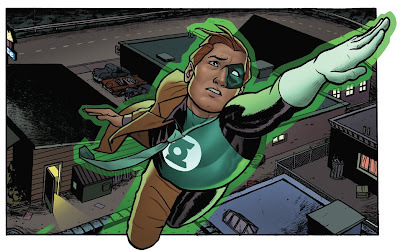 I'm looking forward to get all the Wed Comics to see where this green lantern adventure goes. Great work Joe - It's been great to see your stuff out there, especially on such a high profile project. I appreciate your sentiment, good sir. Thanks so much! Glad to hear you like it.